There has been talk about creating a second Seattle area passenger airport for quite some time. The two logical locations are Boeing Field (King County International Airport) and Paine Field (Snohomish County Airport, north of Seattle). For a while there was talk of Southwest flying from Boeing Field but that never materialized. Today Alaska announced a plan to start Alaska Airlines service at Paine Field in 2018. This is big news for the Puget Sound region (which includes Everett, Seattle, Bellevue and Tacoma). Puget Sound’s population is booming and is closing in on 4 million people. Seatac Airport is feeling the pinch and is looking for major expansion. That won’t happen until 2035 however. Alaska Airlines service at Paine Field makes a lot of sense. Seatac is 15 miles south of downtown Seattle. That means people coming from the north have to drive through the bottle neck that is I-5 through the city. It can take 2+ hours to drive 30 miles in rush hour. 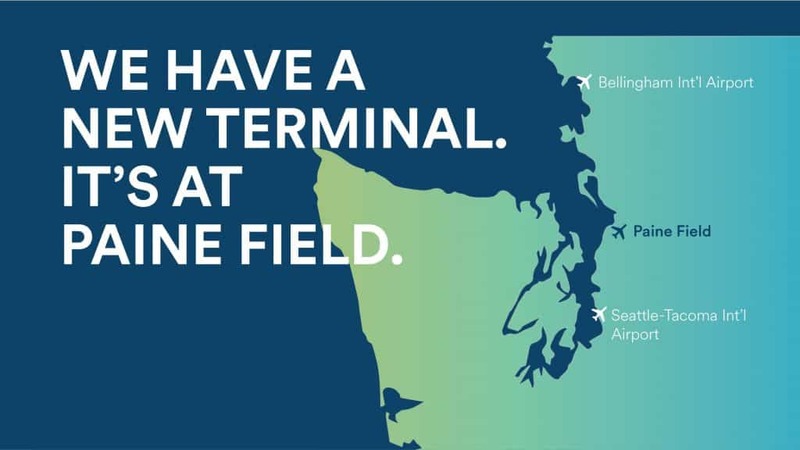 The other option for those north of Seattle is Bellingham International Airport. The destinations are limited. Currently Alaska Airlines flies to Seattle, Portland, Las Vegas, Kona and Maui. Bellingham gets a fair number of Vancouver residents making the drive for cheaper flights. It would surprise me to see a Paine Field to Seatac flight as it is less than 40 miles. Today’s announcement says the routes will be served by 737 and Embraer 175 jets. They expect to fly 9 daily flights — probably mostly to Portland to start. A new passenger terminal at Paine Field is to begin construction next month. Routes, along with ticket sales, will come in early 2018. Flights are to begin in Fall of 2018. No report on whether there will be an Alaska Lounge at Paine Field or not. One can hope. Unfortunately it looks like those wanting to fly out of Paine Field will need to wait until at least 2019. The Seattle Times is reporting that a new environmental impact assessment is needed to be done since the number of flights by Alaska, United and Southwest is more than was studied during the last assessment in 2012.